Designed for all your touring agency requirements. With many elements and options that will help you get your site ready in no time! Crafted for most of your Touring Agency requirements, fits perfectly with all screens. 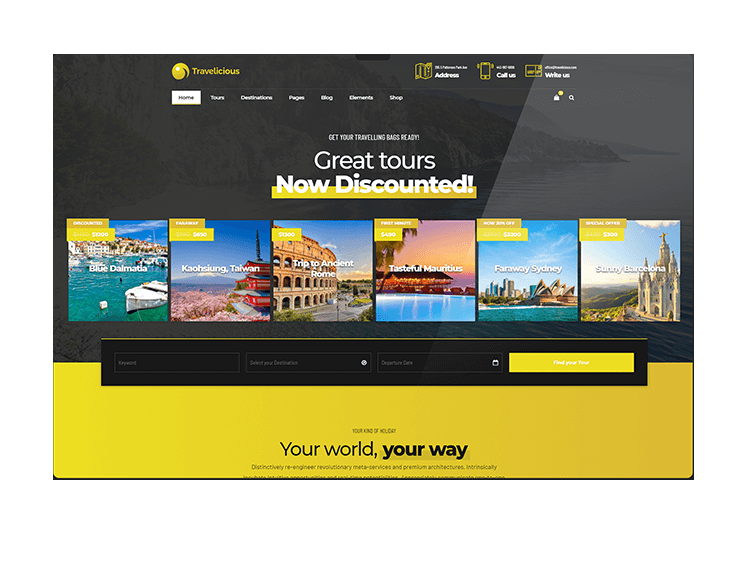 Focuses more on Call to Action Tours in a slider, with more tour offers and shop shown below. 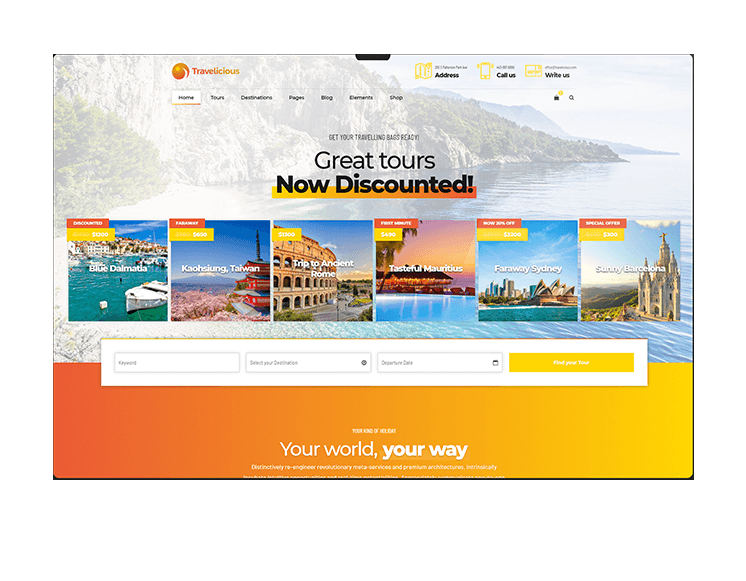 Immediately offer instant Tours at your website with a Tour slider, Tour Search and Tour tiles below. This Home Page focuses most on the Search Form at the start of the page, for faster User reaction. 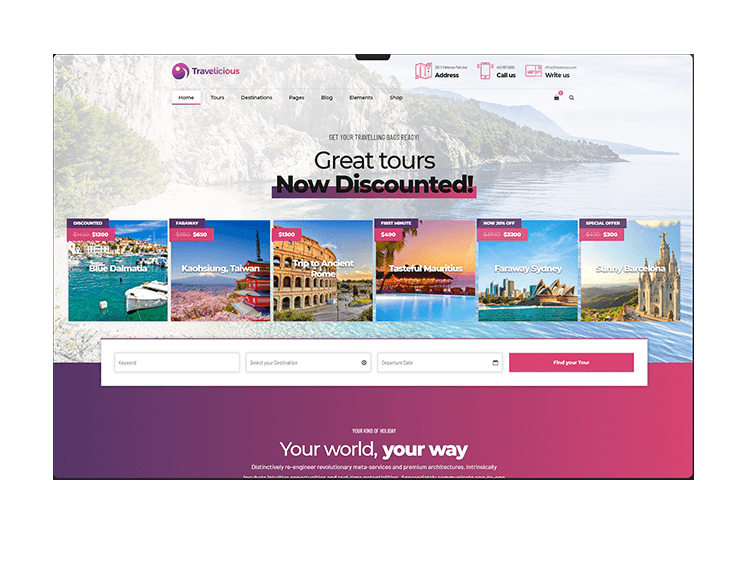 Offers more eye-catching solution for Users wanting to immediately experience Tours you can offer. 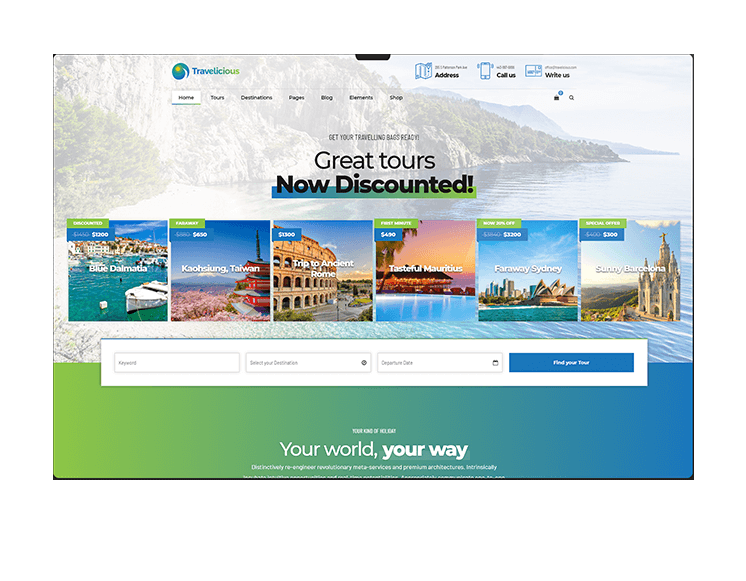 Travelicious offers you full control on site colors via primary and secondary colors, as well as header color options, buttons, section gradients, etc. Even on making the site light or dark. Make it however you want it - be creative! Single Tour page offers great presentation opportunities. Whether you're focusing on visual presentation or data one Tour offers, information is well structured and visible at each glance. 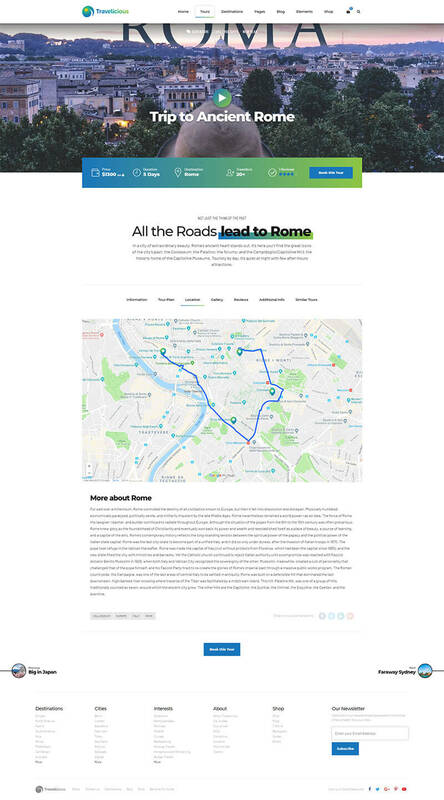 Travelicious now offers views for your Tours, Destinations, Posts and Products with AMP support. Speed up your mobile page load and attract more visitors with accelerated mobile pages! 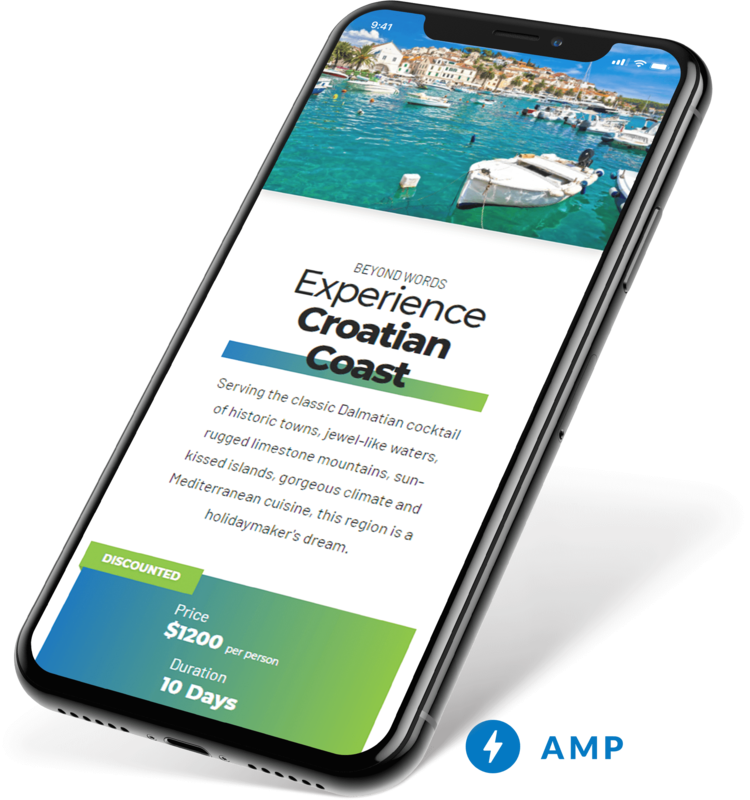 AMP pages load near instantly, giving users a smooth, more engaging experience on mobile and desktop. Increase your trafic and keep the people that would leave your page due to slow internet connection. Create a better user experience by optimizing the page, lower the bounce rate and speeding your webpage mobile load. 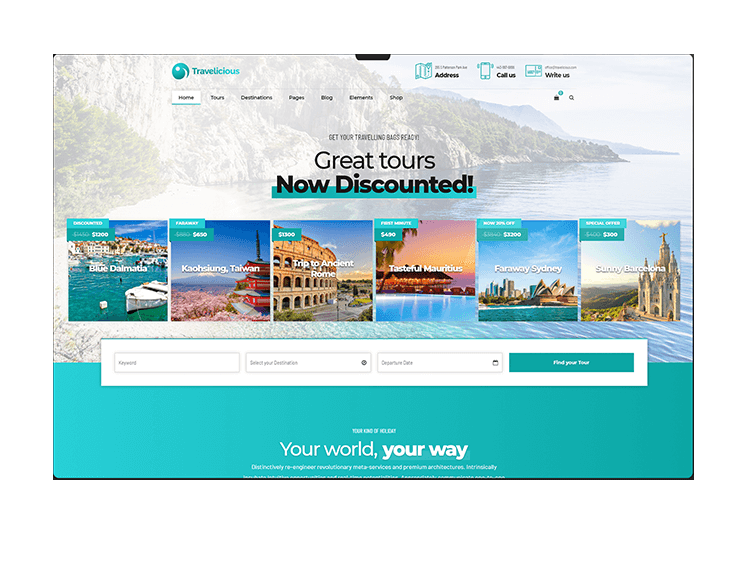 Travelicious is packed with many features and it's optimized for your work, as well as for visitor's pleasure. Check out which mighty features are packed inside! Browse our online documentation here and find out what you’ll get in the package. For more, contact our brilliant support team to find solution for any issue we're covering. If you are just starting with Travelicious theme, it would be good to read the documentation and find out the theme’s features.